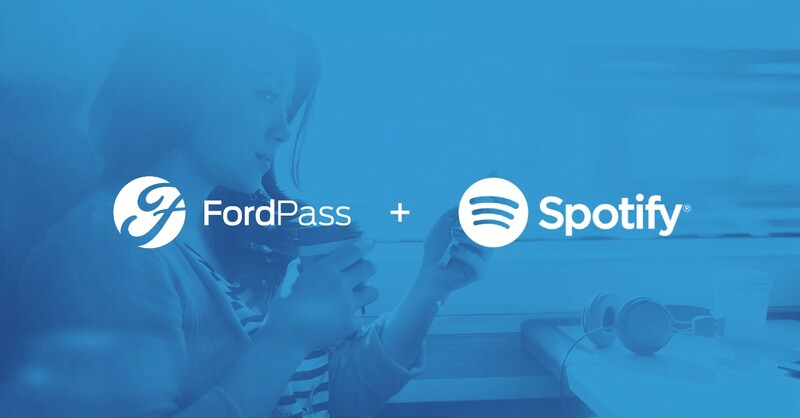 With Americans spending more than 900 hours a year mobile – and 25 hours or more per week listening to music – Ford and music streaming leader Spotify are teaming up to create a new entertainment experience for FordPass members. As part of its transformation into an auto and mobility company, Ford is introducing FordPass – a platform that reimagines the relationship between automaker and consumer. The mobility experience platform aims to do for car owners what iTunes did for music fans. FordPass reimagines the relationship between automaker and consumer by offering benefits that will include a marketplace of mobility services and rewards for membership loyalty. Spotify is the newest FordPass Appreciation partner, joining McDonald’s, 7-Eleven and BP as retailers that will provide members with merchandise and unique experiences. One focus of FordPass is to tap into the more than 900 hours annually that people spend on the move and provide for them the entertainment options they desire. In addition to music offerings from Spotify, FordPass also plans to partner with providers of news, sports, children’s programming, audiobooks and more. The FordPass-Spotify partnership marks the latest link between the two companies. 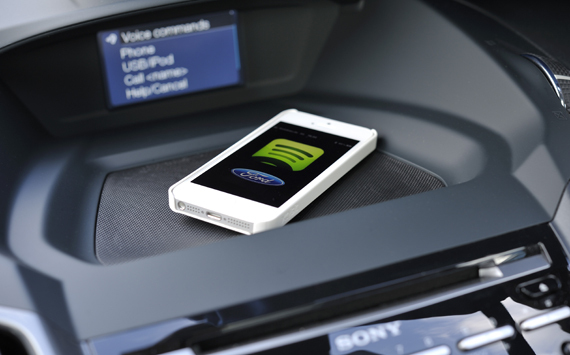 Spotify already is one of many apps that interacts with Ford SYNC® AppLink™. 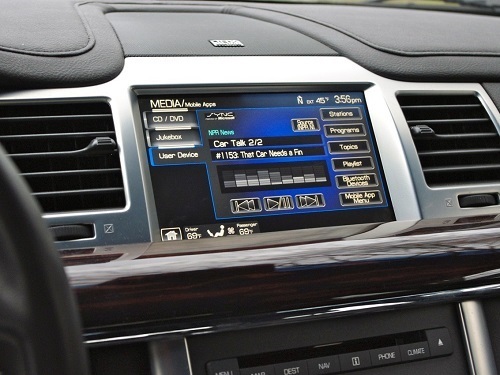 AppLink enables drivers to connect their vehicle and smartphone, and projects apps to the center console-mounted touch screen. Commands can be given via voice or touch. 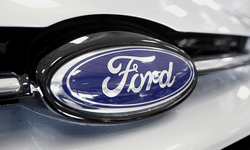 A FordPass membership is complimentary for Ford vehicle owners and non-owners alike. The platform officially launches in April in the United States and Canada. Members of FordPass will benefit from four elements: Appreciation, which includes offerings from Spotify, as well as Marketplace, FordGuides and FordHubs. All FordPass members will have access to the Marketplace of mobility services. Ford is working with ParkWhiz and Parkopedia to help people find and pay for parking more easily, and with FlightCar to help members borrow and share vehicles when they travel. In the future, services will include ride sharing and car sharing, multimodal transportation and more. Members can pay for services through FordPay – a virtual wallet that is part of FordPass. Ford owners can easily connect with their preferred dealer to schedule maintenance and service appointments or to review their Ford Credit vehicle finance account details. Members who own a Ford vehicle equipped with SYNC Connect, debuting on the 2017 Ford Escape this spring, can use FordPass to lock, unlock or locate their vehicle and schedule remote starts. For example, if a member decides he would like to book advanced parking for an upcoming show but is unsure how to reserve it, one push of a button on his smartphone lands him in a live chat with a FordGuide who will lead him through the options and help to reserve parking. In the future, members will be rewarded for doing little things, such as simply registering to become a member, booking parking or interacting with FordGuides. And by collaborating with affinity partners McDonald’s, 7-Eleven, BP, Spotify and others, FordPass can recognize members with access to merchandise and unique experiences. The first of these urban storefronts opens later this year at Westfield World Trade Center in New York. It will be joined by FordHubs in San Francisco, London and Shanghai.